Very excited to announce! Yemen Blues Live at Brooklyn Bowl will Feature some of the incredible musicians and creators YB worked with through the years + some local surprises! Yemen Blues will also feature Or Schreiber, former dancer of Bat Sheva Dance Company with his guests and special choreography for the show. Opening act: Ahmed Al-Shaiba Yemen Blues Cast: Ravid Kahalani, Omer Avital, Shanir Blumenkranz, Rony Iwryn, Tomer Bar, Ofri Nehemya... more will be announced soon! In 2010, singer & composer Ravid Kahalani founded the rare combination of top musicians we now call Yemen Blues. 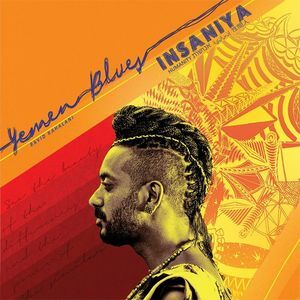 From the start, Yemen Blues created an original sound that became a new language in contemporary music. The intense musicians hail from NYC, Uruguay & Tel Aviv. This includes the core members of creation: Rony Iwryn, Omer Avital, Itamar Doari & Shanir Blumenkranz. Each member comes from a different background and brings their own sound and arrangements to Ravid's compositions. The result of this amazing group is a powerful energy that mixes Yemenite, West African & Jazz influences and what Ravid likes to call "New Age Culture Music". The mambo and North African rhythms create a joyful and deep foundation, while the vocals remind the listener of ancient Arabic chants mixed with funk & blues. For their first album, the group collaborated with the well-known maestro Omer Avital who served as a musical director & producer. Since then, Yemen Blues keeps magic alive with a constant stream of new songs and their world-renowned exciting live performancess! !